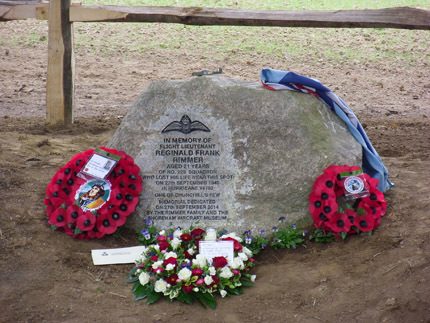 A ‘new’ stone memorial was unveiled at Franchise Manor, Burwash in East Sussex on Saturday 27th September 2014, to honour 21 years old Flight Lieutenant Reginald Rimmer of 229 Squadron and ‘One of The Few’, killed in action at this location exactly 74 years previously. This memorial replaced an older brass plaque. 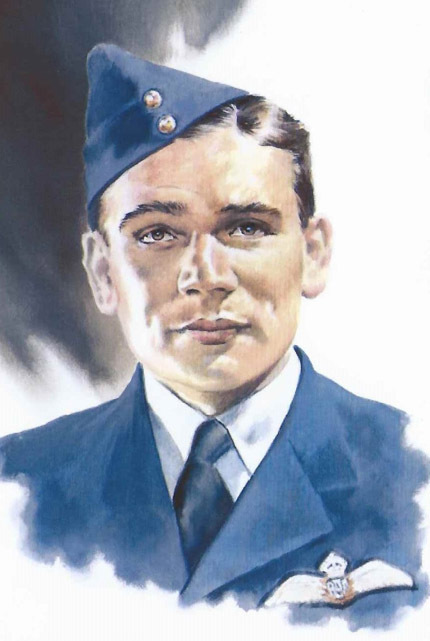 The service of dedication was led by the Reverend Alan Weaver of St. Michael & All Angels, Jarvis Brook and a poignant moment came when Daniel Rimmer (nephew of the pilot), read some of Flt Lt Rimmer’s last letters home that described vividly the stress and extreme tiredness from continual action. ‘Reg’ Rimmer wrote of looking forward to heading home on leave, but it was never to be as he was tragically killed a few days beforehand. 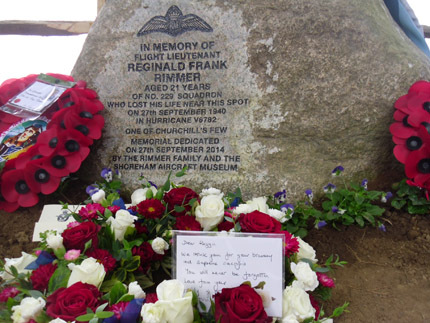 The memorial was instigated jointly by the Fitzgerald family of Franchise Manor, the Rimmer family and The Shoreham Aircraft Museum. 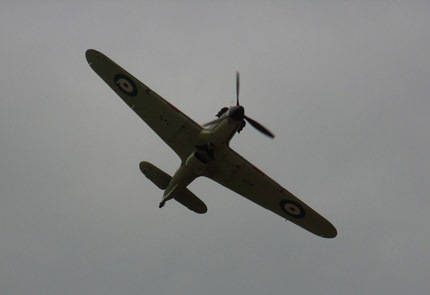 Almost 50 members of the ‘Rimmer Family’ attended the unveiling and there was a terrific tribute flypast flown by the Hawker Hurricane from the Biggin Hill Heritage Hangar; appreciative applause on the ground went to the pilot Clive Denney for his spirited aerial display. Additional thanks goes to the Cadets of 1414 (Crowborough) Squadron, Air Training Corps, the Bexhill-on-Sea & Battle Branch, Royal Air Forces Association and to Brian Rance for his wonderful rendition of ‘Last Post’ and ‘Reveille’. 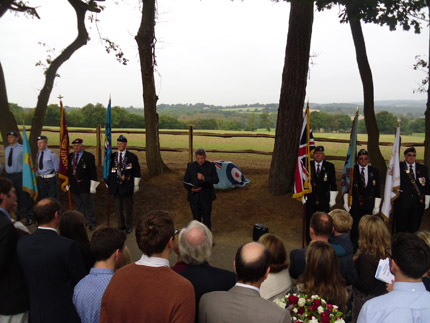 It was a proud moment for the Rimmer family, Franchise Manor and the Shoreham Aircraft Museum to see a brave young pilot honoured. 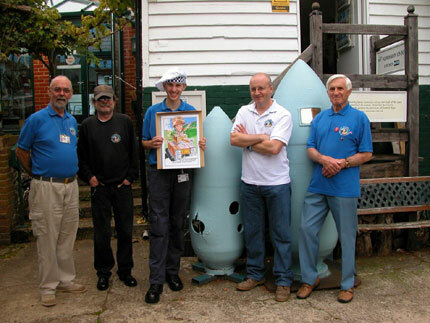 It was our very own young Aidens last day with us here at Shoreham. 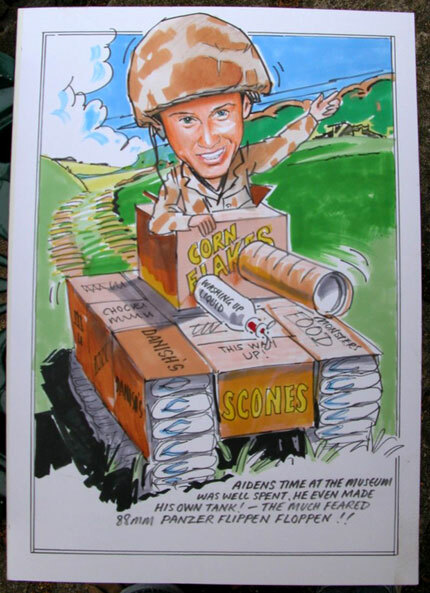 Here he is with his farewell cartoon card “The much feared 88mm Panzer Flippen Floppen”!! You are currently browsing the Shoreham Aircraft Museum – News archives for September, 2014.